Bruce Voss is an experienced and tenacious business litigation attorney, whose approach has helped clients achieve good results in difficult situations. With his background as a former Hawaii business news reporter who once covered many of the issues he now litigates, Mr. Voss is a strong communicator and relentless advocate for his client's position. 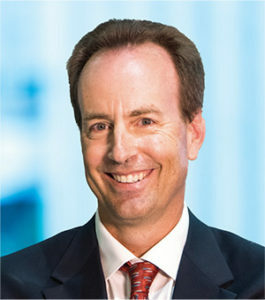 Mr. Voss' practice emphasizes real estate and land use litigation, complex business disputes, and employment law and litigation. He also has successfully handled major construction litigation, environmental contamination matters, land use entitlement compliance at some of Hawaii’s biggest development projects, large liability wrongful death cases, and media law/defamation claims. Represented both landowners and lessees in numerous lease rent arbitrations to set the rent under Hawaii long-term land leases. Represented the owners of land in Mapunapuna in a high-profile lawsuit against the City & County of Honolulu and the State of Hawaii, to stop the tidal flooding that has plagued the area for three decades. After discovery and depositions, the City and State agreed to a Court-ordered remediation to halt the tidal flooding. Represented the Seibu Group companies in litigation by Japanese nationals challenging the ownership of several hundred million dollars worth of Hawaii properties, including the Mauna Kea and Makena resorts. The Circuit Court granted a Motion to Dismiss, dismissing all claims against the Seibu companies, and the dismissal was affirmed by the Hawaii Intermediate Court of Appeals. See Tsutsumi v. Hawaii Prince Hotel Waikiki Corp. et al, 119 Haw. 321 (2008). Represented Central Pacific Bank in complex litigation and administrative proceedings arising from the bank's planned takeover of City Bank. The case was Hawaii's first takeover litigation in more than a decade. Central Pacific Bank successfully completed the takeover of City Bank. Represented Stanford Carr Development Corp. in a six-week jury trial against Unity House on complicated claims arising from loans and lender interference on an Oahu housing project. The jury ruled that Stanford Carr Development was not liable for any of the $7 million in claimed loan liabilities; the jury verdict was affirmed by a Hawaii Supreme Court decision that established lender liability law in this state. See Stanford Carr Development Corp. v. Unity House, Inc., 111 Haw. 286 (2006). Represented banks and secondary lenders on major commercial foreclosures, lender liability claims, and loan workouts. Represented a Big Island contractor on claims that two people had defamed the contractor and harmed his business. The Defendants' insurance company paid the contractor $1 million to resolve the case, believed to be one of the largest defamation settlements in state history. Represented Kamehameha Schools Trustee Oswald Stender in his Petition to Remove fellow Trustee Lokelani Lindsey, to stop the harm she was causing to the Schools' students and the Schools' mission. After a highly-publicized five-month trial, the Circuit Court removed Lindsey as a trustee, and the removal was affirmed by the Hawaii Supreme Court. Represented Xerox Corp. and its managers in the numerous negligent retention/workplace violence lawsuits filed after Byron Uyesugi shot and killed seven of his Xerox co-workers in 1999. Mr. Voss deposed the killer, Uyesugi, in prison. After extensive discovery and motions, all claims were resolved. Represented a Hawaii church on contentious claims that a former pastor inappropriately touched young congregation members. All claims were settled after discovery into the plaintiffs' claimed damages. Represented the employer on the first evidentiary hearing held by the Hawaii Civil Rights Commission in more than a decade. Represented Hawaii employers on dozens of claims filed with the E.E.O.C., Hawaii Civil Rights Commission, and state and federal courts, including claims of alleged race and age discrimination, retaliation, whistleblowing, breach of contract, emotional distress, non-compete violations, family leave law violations, and wage law violations. Mr. Voss has taken employment claims both to arbitration and to jury trial. Mr. Voss also negotiates and drafts employment contracts, non-competition agreements, and severance agreements. For clients with Employment Practices Liability insurance policies, he has been approved as counsel by numerous insurance companies including Zurich, Hartford, CNA, AIG, and Chubb. Mr. Voss periodically gives seminars and writes newsletter articles on a wide range of employment law topics. Mr. Voss worked as a business newspaper reporter and a television news reporter in Hawaii in the 1980s and early 1990s, and he remains active in the media community, counseling Hawaii news organizations on compliance issues and defending libel claims. Mr. Voss is a Board member of Hawaii's public television station, PBS Hawaii, and provides pro bono legal services for its groundbreaking Hiki No Student News Network. In 2016, Governor David Ige appointed Mr. Voss to a three-year term as a member of the Hawaii State Board of Education, overseeing all public schools in the state. Mr. Voss is a proud graduate of the Richardson School of Law at the University of Hawaii, and Kalaheo High School in Kailua. Since 2003, he has been a partner of the law firm now known as Bays Lung Rose Holma.